On Wednesday, Malala Yousafzai, fierce advocate of female education, was awarded the Nobel Peace Prize alongside co-recipient Kailash Satyarthi. 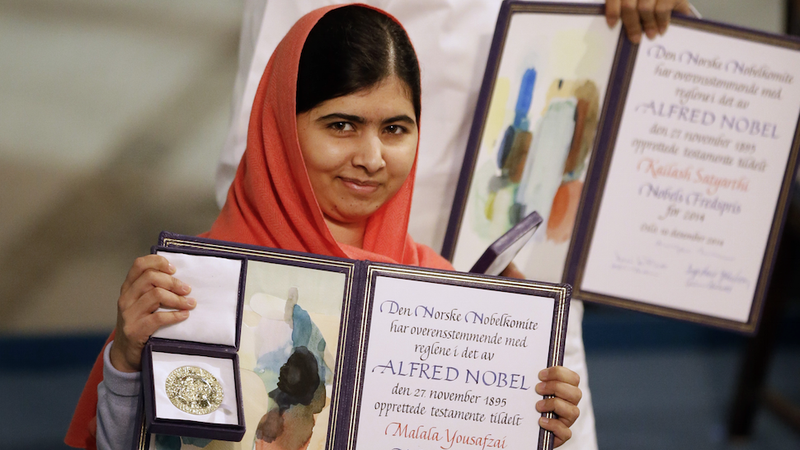 At age 17, she is the youngest ever recipient of the Nobel Peace Prize. She also had a day named after her (July 14, 2014), she has written a memoir, and has a huge list of awards and accolades aside from that Nobel thing. What have you done? "It is for those forgotten children who want education. It is for those frightened children who want peace. It is for those voiceless children who want change. Yousafzai plans to donate her prize money to the Malala Fund.